The term wireless refers to the communication or transmission of information over a distance without requiring wires, cables or any other electrical conductors. 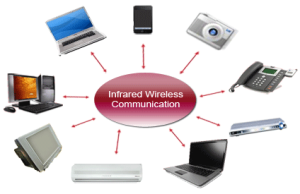 Wireless communication is one of the important mediums of transmission of data or information to other devices. The Communication is set and the information is transmitted through the air, without requiring any cables, by using electromagnetic waves like radio frequencies, infrared, satellite, etc., in a wireless communication technology network. At the end of the 19th century, the first wireless communication systems were introduced and the technology has significantly been developed over the intervening and subsequent years. Today, the term wireless refers to a variety of devices and technologies ranging from smart phones to laptops, tabs, computers, printers, Bluetooth, etc. In recent days, the wireless communication technology has become an integral part of several types of communication devices as it allows users to communicate even from remote areas. 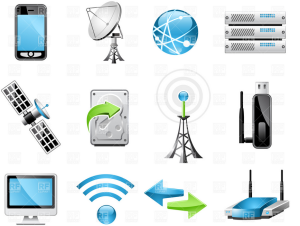 The devices used for wireless communication are cordless telephones, mobiles, GPS units, ZigBee technology, wireless computer parts, and satellite television, etc. Satellite communication is one of the wireless technologies, which is widely spread all over the world allowing users to stay connected virtually anywhere on the Earth. The Satellites used in this mode of communication, communicate directly with the orbiting satellites via radio signals. Portable satellite phones and modems have more powerful broadcasting abilities than the cellular devices as they have high range, apart from being more expensive in terms of cost, than their counterparts. For example, for outfitting a ship through satellite communication, a traditional communication system is linked to a single satellite, which allows multiple users to share the same broadcast equipment. Wireless Networking technologies connect multiple computers, systems and devices together without requiring wires or cables: a wireless local area network or WLAN comes under Wi-Fi. There are wireless broadband systems that offer fast Web surfing without being getting connected through cable or DSL (Example of wireless broadband is WiMAX). Although WiMAX can potentially deliver data rates of more than 30 Megabits per second, yet the providers offer average 0 data rates of 6 Mbps and often deliver less, making the service significantly slower than the hard-wired broadband. The actual cost of the data available using WiMAX widely varies with the distance from the transmitter. WiMAX is also one of the versions of 4G wireless available in phones as Sprint’s 4G technology. Wi-Fi is a form of low-power wireless communication used by many electronic devices such as laptops, systems, smart phones, etc. In a Wi-Fi setup, a wireless router serves as the communication hub. These networks are extremely limited in range due to low power of transmissions allowing users to connect only within close proximity to a router or signal repeater. Wi-Fi is common in home networking applications which provides portability without any need of cables. Wi-Fi networks need to be secured with passwords for security purposes in order not to be accessed by others. Ease of Integration and Convenience – The wireless nature of such networks allows users to access network resources from nearly any convenient location. Mobility – With the emergence of public wireless networks, users can access the internet even outside their normal working environment. Expandability – Wireless networks are capable of serving a suddenly-increased number of clients with the existing equipment. In a wired network, additional clients require additional wiring. Wireless LANs may not be desirable for a number of reasons. Radio Frequency transmission and wireless networking signals are subjected to a wide variety of interference including the complex propagation effects that are beyond the control of the network administrator. Security Problems – Wireless networks may choose to utilize some of the various encryption technologies. Range will be insufficient for a larger structure – and, in order to increase its range, repeaters or additional access points have to be purchased. 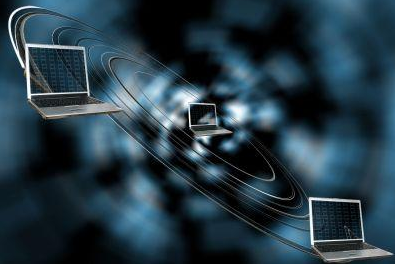 The speed on most wireless networks will be slower than the slowest common wired networks. Installation of an infrastructure-based wireless network is a complex to set up. Bluetooth technology allows you to connect a variety of different electronic devices wirelessly to a system for the transfer and sharing of data and this is the main function of Bluetooth. Cell phones are connected to hands-free earpieces, wireless keyboard, mouse and mike to laptops with the help of Bluetooth as it transmits information from one device to other device. 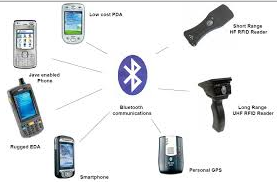 Bluetooth technology has many functions, and it is used most commonly in wireless communications’ market. Bluetooth technology uses radio waves to communicate between devices. Most of these radio waves have a range of 15-50 feet. According to the official Bluetooth website, Bluetooth uses a low-power signal with a maximum range of 50 feet with sufficient speed to enable transmission of data. The pairing process identifies and connects any two devices to each other. It also prevents interference from other non-paired Bluetooth devices in the area. It uses maximum power only when it is required, thus preserving battery life. ZigBee is a wireless communication standard designed to address the unique needs of low-power, low-cost wireless sensor, and control networks. ZigBee can be used almost anywhere, as it is easy to implement and requires little power to operate. Zigbee has been developed looking into the needs of the communication of data with a simple structure like the data from the sensors. ZigBee devices are designed for low-power consumption. 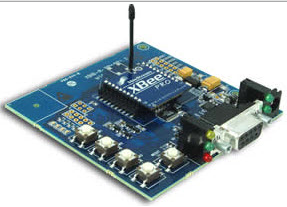 ZigBee is used in Commercial Applications like sensing and monitoring applications. ZigBee uses very low power and extremely long device battery life. ZigBee gives flexibility to do more with the reliable wireless performance and battery operation. Wireless technology defines the electronic devices that communicate in air without cables using radio frequency signals. 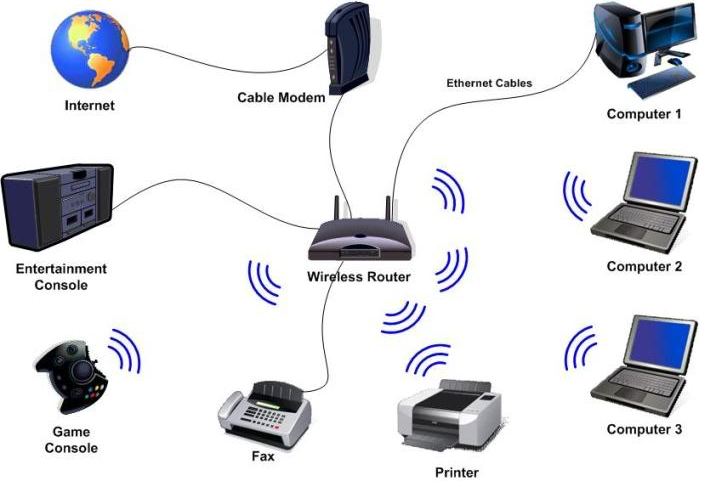 Wireless technology is used in a variety of modern device and provides greater mobility. 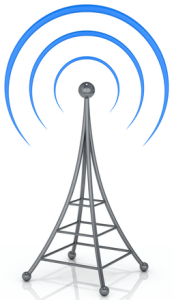 Wireless devices play an important role in voice and Internet communications. 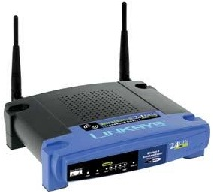 Wireless routers accepts an incoming Internet connection and sendsthe data as RF signals to other wireless devices that are near to the router. A network set up with a wireless router is called as a Wireless Local Area Network (WLAN).Many routers have built-in security features such as firewalls that help protect devices connected to the router against malicious data such as computer viruses. A wireless router is used in many houses to connect their computers to the Internet. 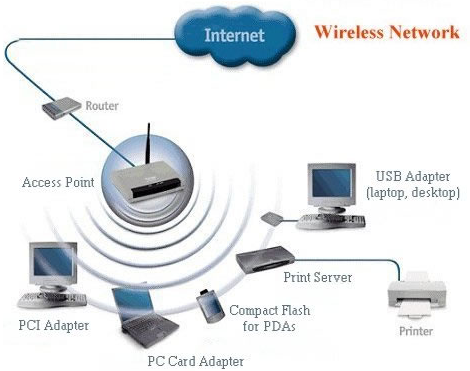 Wireless adapters are hardware devices that are installed inside computers which enables wireless connectivity. If a computer does not have a wireless adapter, it will not be able to connect to a router in order to access the Internet. Some computers have wireless adapters built directly into the motherboard, while it is also possible to install stand-alone wireless adapters to add wireless capability to a computer that doesn’t have a built-in facility. A wireless repeater is a wireless networking device that is used to extend the range of a wireless router. A repeater receives wireless signals and amplifies the strength of the signals, and then re-emits them. The strength of the signal can be increased by placing a repeater between the router and the computer connected to the router. Microwave is an effective type of wireless data transmission that transfers information using two separate methods. One method which is used to transmit data through the wireless media of a microwave is the satellite method that transmits information via a satellite that orbits 22,300 miles above the Earth. Stations on the ground send and receive data signals to and from the satellite with a frequency ranging from 11 GHz to 14 GHz and with a transmission speed of 1 Mbps to 10 Mbps. Another method is a terrestrial method, in which two microwave towers with a clear line of sight between them are used ensuring no obstacles to disrupt that line of sight. For the purpose of privacy, it is used often. The frequency of data transmission for terrestrial systems is typically 4 GHz to 6 GHz or 21 GHz to 23 GHz, and the speed is usually 1 megabit per second (Mbps) to 10 Mbps. Infrared is a media transmission system that transmits data signals through light emitting diodes (LEDs) or Lasers. Infrared is an electromagnetic energy at a wavelength which is longer than that of the red light. The information cannot be travelled through obstacles in an infrared system, but can be inhibited by light. One type of infrared is the point to point system in which transmission is possible between two points limited to a range and line of sight. The signal frequency to transmit in a point to point system is 100 GHz to 1,000 terahertz (THz), and the speed ranges from 100 Kbps to 16 Mbps. Another method of transmission of infrared includes the broadcast system – and, in this method, a reflective material or a transmission unit amplifies and retransmits a data signal to several other units. The normal frequency of an infrared broadcast system is 100 GHz to 1,000 THz with a limited speed of 1 Mbps. 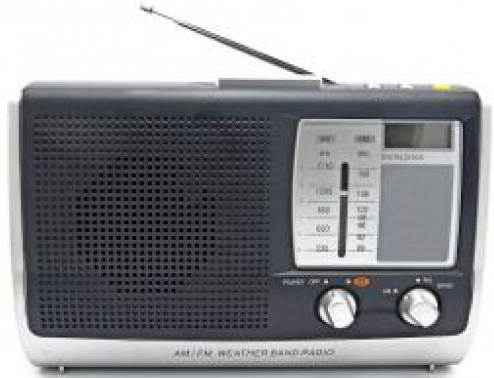 The radio system is one type of wireless data transmission, and it is a wireless media that transfers data by carrying electromagnetic waves with low frequencies to distant locations through an electrical conductor and an antenna. Ham radio enthusiasts share information and serve as emergency communication aids during disasters with their powerful amateur broadcasting equipment and can even communicate digital data over the radio spectrum. Citizen’s band and maritime radios provide communication services for truckers and sailors. The transmission frequency for information transmitted through a radio system ranges from 10 kilohertz (kHz) to 1 gigahertz (GHz), and the frequencies are regulated by the Federal Communications Commission (FCC). The evolution of cellular networks is enumerated by generations. 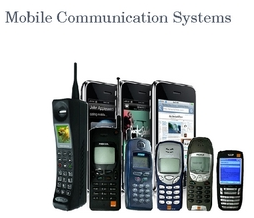 Many different users communicate across a single frequency band through Cellular and cordless phones. Cellular and cordless phones are two more examples of devices that make use of wireless signals. Cordless phones have a limited range but cell phones typically have a much larger range than the local wireless networks since cell phone use large telecommunication towers to provide cell phone coverage. Some phones make use of signals from satellites to communicate, similar to Global Positioning System (GSP) devices. Anything that uses radio signals to communicate can be considered as a wireless device. Common devices such as garage door openers, baby monitors, certain video game consoles and walkie-talkies make use of wireless technology. Any information can be conveyed or transmitted quickly and with a high speed. The Internet can be accessed from anywhere and at anytime without the need to carry cables or wires and it improves easy access and productivity. Helpful for Doctors, workers and other professionals working in remote areas as they can be in touch with the medical centers through wireless communication. Emergency situations can be alerted through wireless communication. The affected regions can be provided support with the help of these alerts through wireless communication. Wireless networks cost less for installation and maintenance. A Hacker can easily capture the wireless signals that spread through the air. It is very important to secure the wireless network so that the information cannot be exploited by unauthorized users, and this also increases the risk of losing data or information. 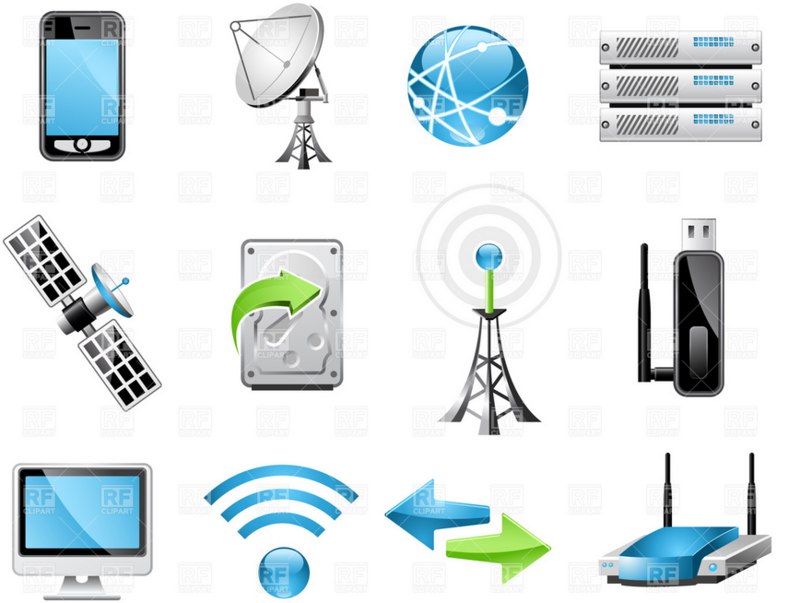 Thus, Wireless networks are one of the fastest growing technologies in telecommunications market. WiMax, Bluetooth, Wi-Fi, Femtocell and 4G are some of the most significant standards of Wireless technology for the next generations. Radio, Mobiles, Internet, etc., all use technological advancements in wireless data transmission systems that carry invisible electromagnetic waves to transmit data over long distances within a short amount of time. The information provided in this article will be helpful to the viewers. Get answers from the online tech support now, or contact us by commenting below. What are the New Advanced Technologies in Wireless Communication? For further help please contact Mr.Niranjan +919959178000. what about the mention of RFID, NFC and magnetic induction technoloties, electrostatic coupling, etc, these are also wireless technologies? Please provide your contact details directly you can have a contact with our technical team. How does electronic harassment work? What type of technology would u have to purchase? Can you please be specific with your query & also please provide your contact details. So,that our team will contact you. For more details please contact Mr.Tarun Agarwal @ +91-9908208883. i kindly request to present it as a printed word document. difference between bluetooth technology and wifi technology. Can we transmit audio data on wi fi technology? Thanks for helping me a lot. I think you should add some more information related to computer in latest versions. My thesis topic is “Performance analaysing of wireless” please can you help me. but can you please help me to solve some specific questions?